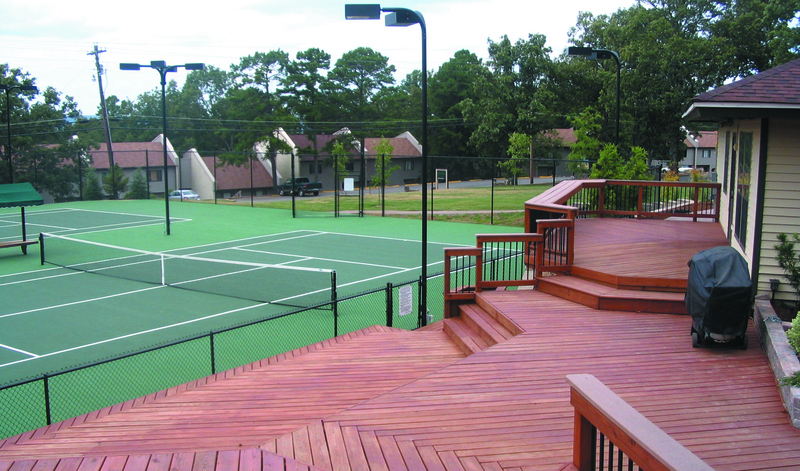 A new tennis court fee structure was approved by the Fairfield Bay Community Club Board of Directors during its regular meeting December 9, 2014. These fees will assist in the effort to make needed repairs to the Fairfield Bay Tennis Court Facility and to help rebuild our tennis program by inviting more tournaments to be played in Fairfield Bay. Applications may be picked up at the Recreation Office Tennis Center during regular office hours Monday-Friday 9-4, or by calling the Recreation office at( 501) 884-6008 and requesting a tennis membership application by mail. For additional information, please call the Recreation Office at (501)884-6008.